The Alameda County Board of Supervisors voted 3-1 to move forward with NFL Hall of Famer Ronnie Lott’s Hail Mary plan to keep the Raiders in Oakland, David Debolt of Bayareanewsgroup reports. The Oakland City Council is scheduled to vote on the plan Tuesday night. Supervisor Wilma Chan abstained, and Keith Carson cast the lone no vote, saying he supported Lott’s plan but was concerned about where the money would come from to repay outstanding debt on the Coliseum given all the county’s other commitments. “What’s challenging for me personally, is where are we going to get the money” to repay old bond debt on the Coliseum, Carson said. The plan put together by Lott, his partner Rodney Peete, and their investment group is probably the last hope to keep the Raiders from fleeing to Las Vegas, where lawmakers lured Raiders’ owner Mark Davis with promises of a new $1.9 billion stadium. 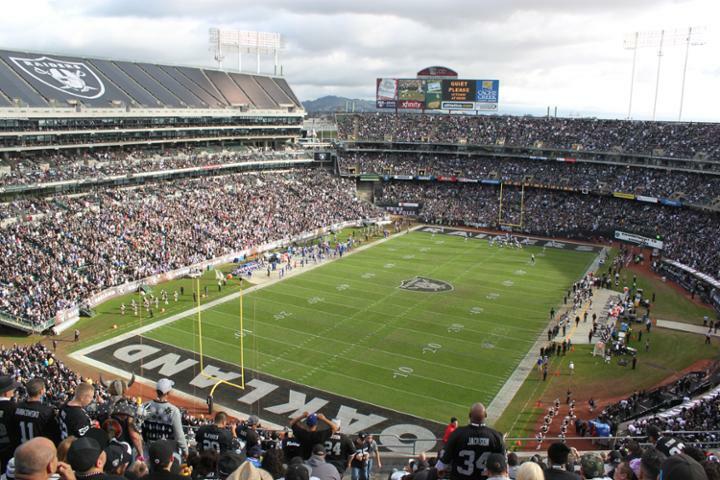 Oakland and Alameda County leaders leaders hope to present a detailed plan to rebuild the Coliseum and keep the Raiders in Oakland to NFL owners, who are expected to decide the team’s fate in a vote early next year. “We all played for different teams but we are all here fighting for the Raiders,” said Peete, a former quarterback who played for 16 seasons in the NFL.